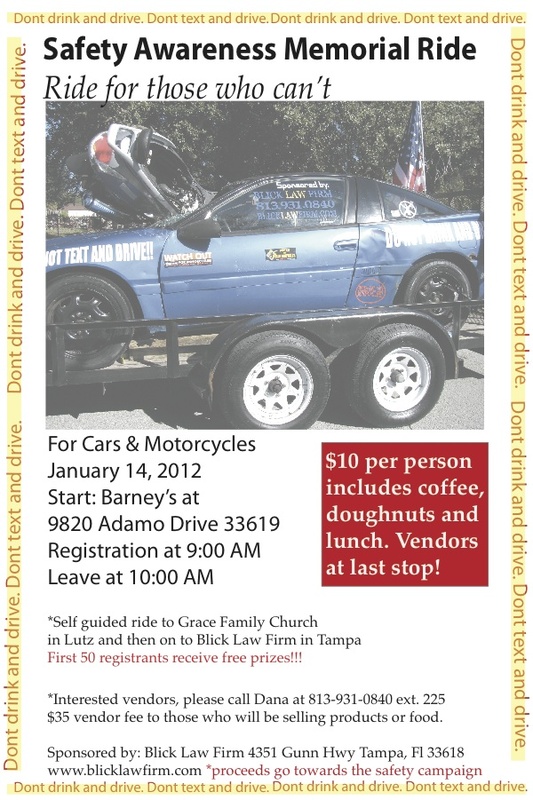 Tampa- January 11, 2012- Blick Law Firm will host a memorial ride on Saturday, January 14 to increase awareness and support for those who have lost loved ones due to distracted drivers. 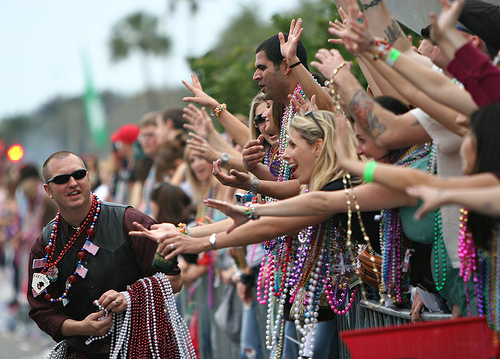 Local car and biker enthusiasts from the Tampa Bay region are invited to join the ride and fellowship at this event. The Safety Awareness Memorial Ride registration will begin at 9 a.m. at Barney’s, 9820 Adamo Drive. At 10:00 a.m. a small procession, led by the Blick Mobile, followed by cars and motorcycles will proceed to Grace Family Church on Van Dyke Road in Lutz. At noon all participants will leave for Blick Law Firm, 4351 Gunn Highway in Tampa for lunch, door prizes, vendors and a memorial ceremony. Those not riding in the small procession will have maps for a self-guided tour of the route. “Blick Law Firm is a concerned member of this community, committed to providing support and awareness to those affected by careless drivers,” said Dana Blickensderfer, director of the law firm’s public relations. Event is $10 per person and includes a light breakfast, lunch and a chance to win prizes. First 50 registrants receive free prizes!! Distracted drivers can be defined by drunk driving to texting while driving. Be mindful of the carelessness taking place on the road every day. The goal of this campaign is to be aware and be alert. The cost is too high!